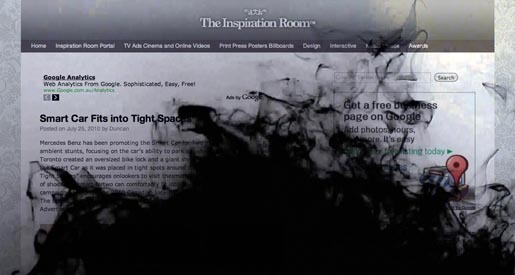 Web sites are now being polluted by oil spills. That’s right, now you can have all the same disregard for the environment (albeit virtual) that big oil does everyday! Why should they get to have all the fun? 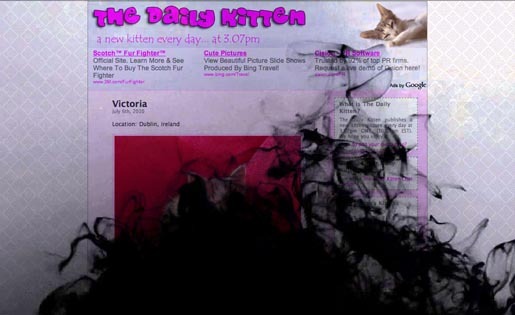 Simply enter the web address of the site you’d like to contaminate and watch the spill happen. 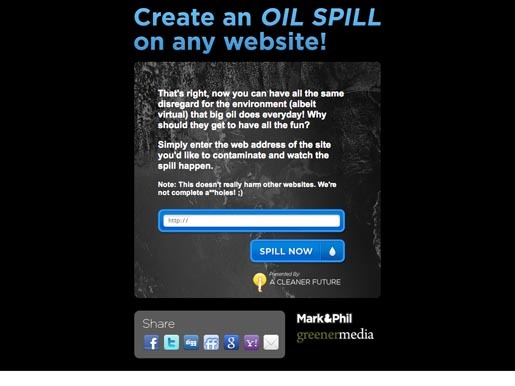 InstantOilSpill.com raises awareness about the dangers of fossil fuels and encourages visitors to learn more about clean energy by placing an oil spill on any website. Launched the last week of June 2010, the site has received over 500,000 spills (unique hits), aiming for 1 Million spills by the end of July. The campaign is designed by A Cleaner Future to provoke, inspire, and provide information about alternative and renewable energy sources. 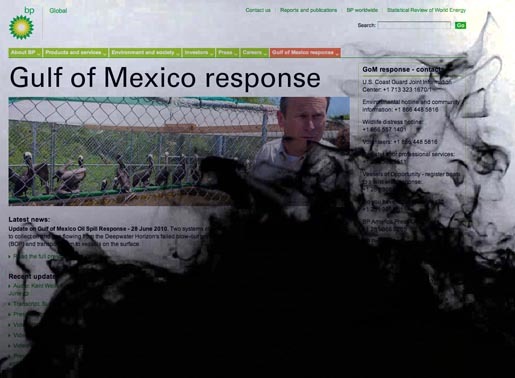 The Oil Spill was developed at A Cleaner Future, a joint venture of Mark & Phil and Greener Media, by creative director Daniel Schutzsmith, web designer and programmer Daniel Schutzsmith, strategist Sabrina Schutzsmith, and director Phil Buccelato.